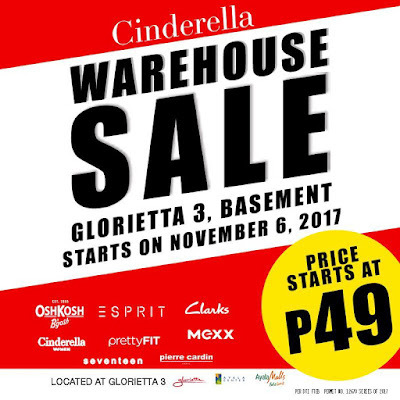 Cinderella's Warehouse SALE is on! 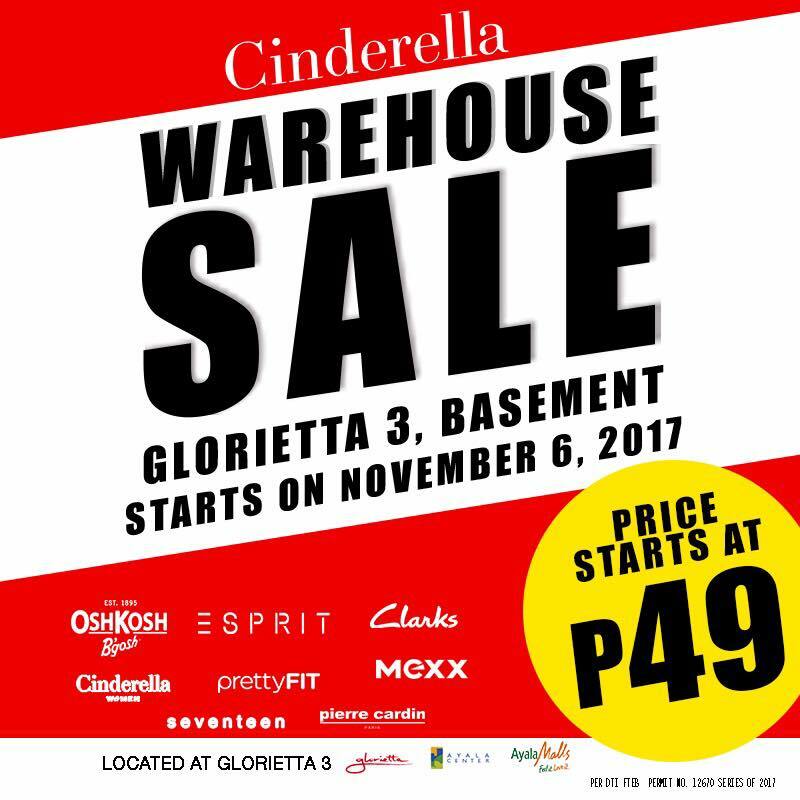 Check it out at Basement of Cinderella Store located at Glorietta 3 in Makati. Get great discounts on your favorite brands like Esprit, Clarks, Osk Kosh, Mexx, Pierre Cardin, and more!